The Neanderthal is among the most mysterious relatives of Homo sapiens: Was he a dull, club-swinging muscleman, or a being with developed social behaviour and the ability to speak, to plan precisely, and even to develop views on the afterlife? For many, the Neanderthals are an example of primitive humans, but new discoveries suggest that this image needs to be revised. Half a million years ago in Ice Age Europe, there emerged people who managed to cope well with the difficult climate – Neanderthal Man. They formed an organized society, hunted Mammoths, and could make fire. They were able to pass on knowledge; they cared for the old and the handicapped, burying their dead, and placing gifts on their graves. Yet, they became extinct, despite their cultural abilities. 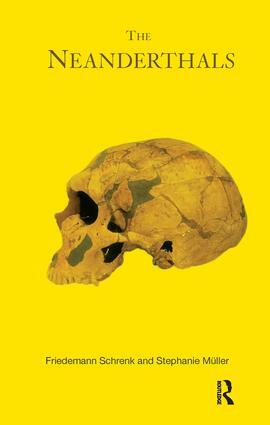 This richly illustrated book, written for general audiences, provides a competent look at the history, living conditions, and culture of the Neanderthal.